JESSI D. HILL is a theatre director based in New York City. Latest credits include Larissa FastHorse’s Vanishing Point at HERE Arts Center, Kit Yan’s Queer Heartache at A.R.T, Cusi Cram’s The Helpers at 59E59 and others. New York credits include new work at New York Theatre Workshop, The Public Theater/Joe’s Pub, The Playwrights’ Center, Primary Stages, Labyrinth, The Women’s Project, 59E59, P73, The New Group, Rattlestick, Ensemble Studio Theatre, terraNOVA Collective, Culture Project, Musical Theatre Factory, The Acting Company, The Barrow Group, PS122, Abingdon, Baruch Performing Arts Center, New Dramatists, The Lark, The Playwrights Realm, New Georges, Naked Angels, The Wild Project, and others. She has been a director and teacher in professional training programs at Yale School of Drama, Juilliard, The Eugene O’Neill Theatre Center/NTI, Fordham University, Long Island University, Powerhouse/NY Stage & Film, NYU/Tisch, Strasberg, CAP21, The Atlantic School, Playwrights Horizons Theatre School, Hunter College, Marymount Manhattan, and others. 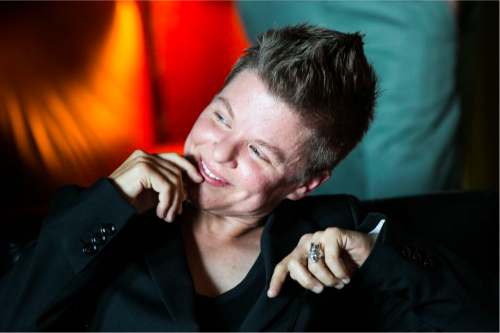 Jessi is a recipient of the Denham Fellowship from the Stage Directors and Choreographers Foundation, an Alum of the Women’s Project Lab, and an Affiliated Artist at New Georges. She served as Associate Artistic Director of terraNOVA Collective from 2009-2015 where she co-created the Groundbreakers Playwrights Group and Groundworks new works program. She is currently the Artistic Associate at Flying Carpet Theatre Co and the Literary Team Director at Rattlestick Playwrights Theater. Her work has been seen internationally in Edinburgh, London, New Zealand, Berlin and Hamburg. MFA: Yale. Member SDC.